bebop spoken here: RIP Stuart McKie. 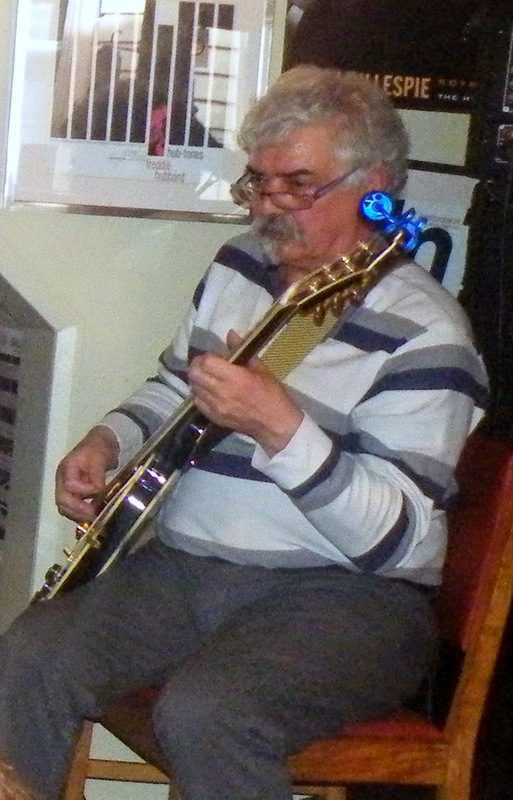 The sad news has broken that guitarist and Jazz Co-op member Stuart McKie died yesterday June 25. Stuart, pictured here in March earlier this year, was a regular at the Sunday afternoon jam sessions at the Salsa Café as well as at the Co-op's workshops. His commitment and enthusiasm as well as his very good sense of humour will be sadly missed. Our sympathies go out to his wife Pam, family and friends. Very best wishes to his family and friends. sad news, was always good to see Stu at the various jams over the past year.